Whenever you take a hair growth vitamin, be sure to add iron supplement if it's missing from the ingredients. I find it prudent because I easily go low on iron levels and this can cause severe hair loss and thinning. Despite the fact that I won't be taking hair vitamins for the next couple of months, I still need to maintain my iron levels so this is what I grabbed. I'll take this as long as possible. I'm more at ease this way knowing that I will still support my health without compromising the oil I'm using. 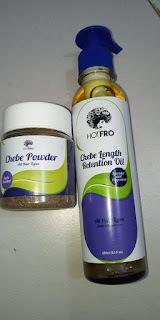 What are you taking for hair growth or using for hair growth?